For the notoriously DIY kind of adventurous traveller, or the plain wake-up lazy kind who can’t quite cope up with the demands of a typical fixed tour, this mobile app is for me and you. Imagine yourself walking in and around the most popular cities around the world: Paris, Kyoto, Rome, Barcelona, Amsterdam, Berlin, Edinburgh, Ho Chi Minh, Bangkok, Manila – the most liberating feeling is knowing that you aren’t too dependent and addicted to bus tours. Not to mention, it is financially freeing? Self-guided walking tour apps are the best way to do so and I haven’t found anything quite as effective and as easy as the GPSmyCity app. This one makes exploring cities on foot the first best option when visiting a new city. 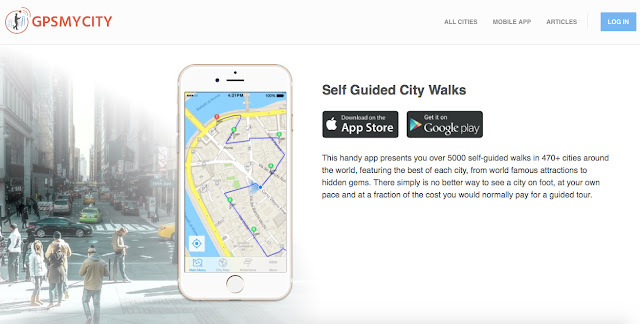 The GPSMYCITY mobile application, which is currently available in IOS and Android, humbly features self-guided city walking routes for over 470 cities around the world. Yes, 470 cathartic opportunities – helps you explore on foot like a local pro. Exploring a new city at your own pace, at your own style, at your courage – who would not like that, right? 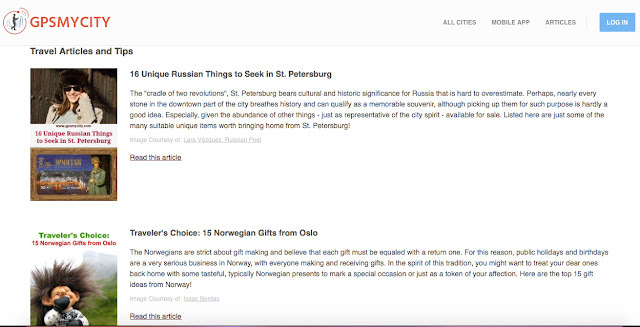 Thanks to Saul from GPSmyCity, I am overjoyed to know that I wouldn’t need to rely on glossy maps, printed out itineraries, or friend recommendations when travelling anymore. There’s a thorough mobile app that has all the necessities I require and use when doing my nomadic duties. 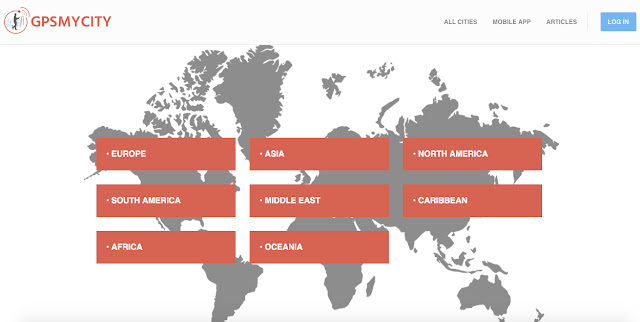 It’s a built in travel portal right at your finger tips. Attractions, be it famous or hidden ones, will always be available and one GPS away from you. 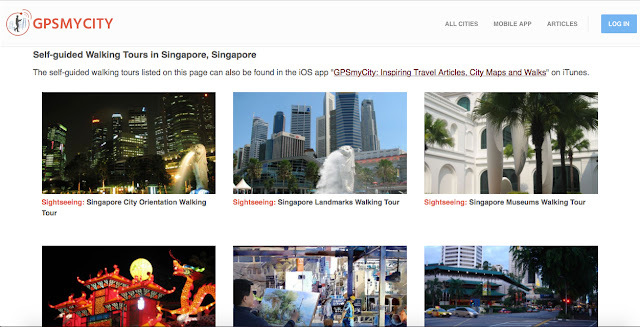 Since I have been living in Singapore for a couple of years now, I am gladly surprised that there are a few more walking tours that I haven’t tried myself. 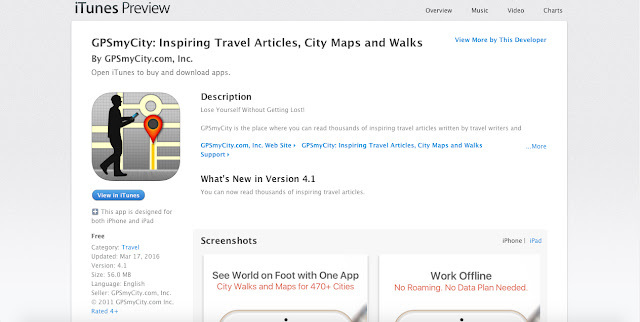 The GPSmyCity app provided access to that without me needing to go through local blogs and doing extensive research on every Trip Advisor, Lonely Planet, or Google Maps. Very very very helpful. I encourage you to check out and try out this mobile app as it might just be the long enlighting travel answer that you have been looking for. I’ve tried it myself, yes. Do let me know how do you find the app? Any favorite city attraction that you would like to highlight? Restaurant to try out and include in one’s itinerary? Any city attraction photo you want to see? Shout out your comments hereand you just might get offered some good give aways!